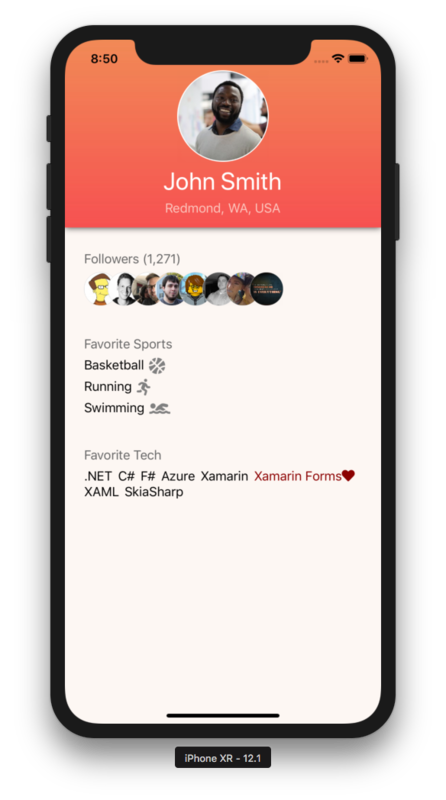 Xamarin Blog | An open source mobile platform for building Android, iOS, macOS, watchOS, and tvOS apps with .NET. An open source mobile platform for building Android, iOS, macOS, watchOS, and tvOS apps with .NET. In the recent release of Xamarin.Essentials (1.1.0) we introduced several new stable features including detect shake, browser customization, and a plethora of platform helpers. The team has also been working hard on one of the top requested features, which is around files. So to get feedback from developers we snuck in a few preview features into 1.1.0 including the ability to share a file or add a file as an email attachment! It is extremely easy to get started using these new preview features with just a few lines of code. Give a warm welcome to WorkManager. WorkManager is a library that makes it easy to schedule deferrable, asynchronous tasks even if the app exits or the device restarts. It was designed to be backwards compatible to API 14 and does so by wrapping JobScheduler, AlarmManager, and BroadcastReceivers all in one. User groups are getting together to learn about new, exciting releases and tooling to help jumpstart their next mobile development project. Network with your local community this month and you too could get all the latest updates about Xamarin and .NET related technologies. Unlock the power of Glide with “GlideX”: a simple library to swap-in Glide’s image loading implementation in-place of what Xamarin.Forms ships in the box. Historically iOS applications have had a number of limitations when running on a device, as Apple disallows the execution of dynamically generated code. Applications are compiled “Ahead of Time” (AOT) before deployment because of this. You can read more about this architecture here. Over the past month, we have been running a low-key challenge to flex the new Xamarin.Forms 3.6 feature, Visual with Material Design. For more information about what Visual is and what you can do with it, hit the blog announcement. Now through the end of March, we're upping the stakes. 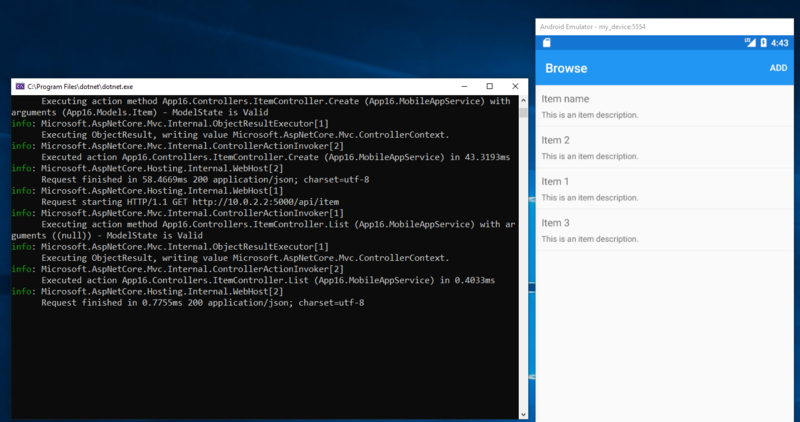 Debugging your ASP.NET Core Web API backend against you Android emulator should be simple, and with this quick tip you can use Xamarin.Essentials and Kestral to enable local debugging. Have you ever needed to integrate a C/C++ library in your Xamarin apps? Checkout this full Walkthrough pf an approach to wrapping a C/C++ library so it can be incorporated into Xamarin-based solutions via NuGet in a cross-platform manner. 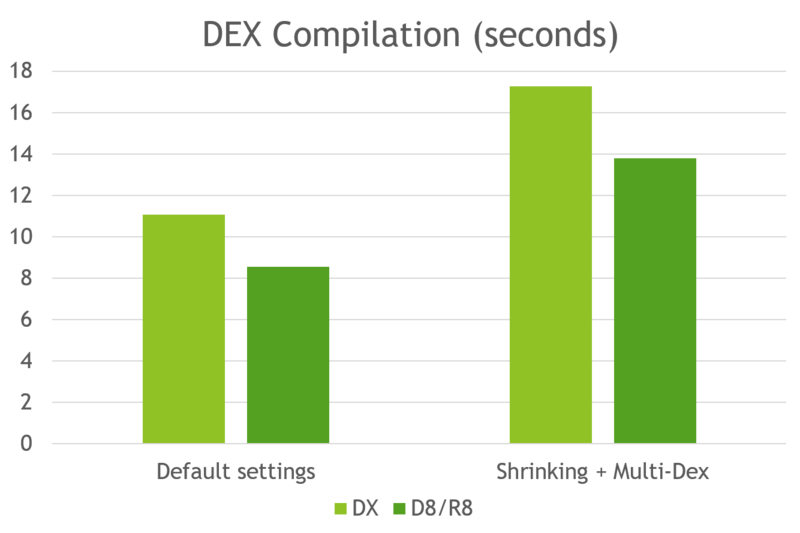 Learn more about Xamarin.Android’s D8 and R8 integration and deep dive on how R8 is being developed for Xamarin.Android and D8 as the next-generation DEX compiler to speed up and shrink Android apps. Starting with Xamarin’s Android Support Library version 28, we are introducing multi-targeting. This includes assemblies for older support library versions when your application's TargetFrameworkVersion is lower than the expected version. As a Xamarin developer working on Android apps, you may be well-aware of two issues that slow down your everyday development; build times and the correctness of the build. If you aren't sure what the latter is, think back to the last time you had to manually remove your bin/obj folders within your project in order to fix a failure. n a previous blog we discussed obfuscating your Xamarin application with Dotfuscator Community to protect it from reverse-engineering. That kind of protection is an important and necessary layer in your application's security posture, but it shouldn't be the only layer. The application also needs to react to threats at runtime in order to protect its own integrity, and to protect the data that it accesses. The ability to see the design view and layout XML at the same time, side by side, was one of our most requested features for the Android Designer. With Split View, new in the Visual Studio 2017 version 15.8 release, you can switch back & forth freely between both modes of working. Edit the layout XML to see the changes immediately previewed in the designer or make changes in the designer and see the XML update. Google recently released Android Pie for developers to enhance their apps and build new experiences with. Previously, Microsoft released an Android 9.0 Preview for Xamarin.Android and as of today, you can download the stable support for Android Pie inside Xamarin.Android 9.0 with Visual Studio 2017 15.8 and Visual Studio for Mac 7.6. Secure and encrypted network communications are a crucial part of mobile application development. Without some kind of security around the communication layer, it is trivial for a third party to eavesdrop and tamper with the messages between the client and the server. If protecting the data being transmitted is important, then some kind of cryptography must be involved to protect both the sender and the receiver from malicious eyes. Azure's Text Analytics Service makes it easy to add sentiment analysis to our cross-platform apps. Let's see how with this to implement it in a Xamarin app! Microsoft Cognitive Services provide a great way to get started with AI without being a machine learning or data science expert. A common favorite of cognitive services is the Custom Vision Service. The first version of this service allowed you to easily build an image classifier model that you could access either via a REST API (with an SDK available for Xamarin apps), or by downloading a model that can be run on your device using either CoreML, TensorFlow or WindowsML (we looked at using TensorFlow in an Android app in an earlier blog post). 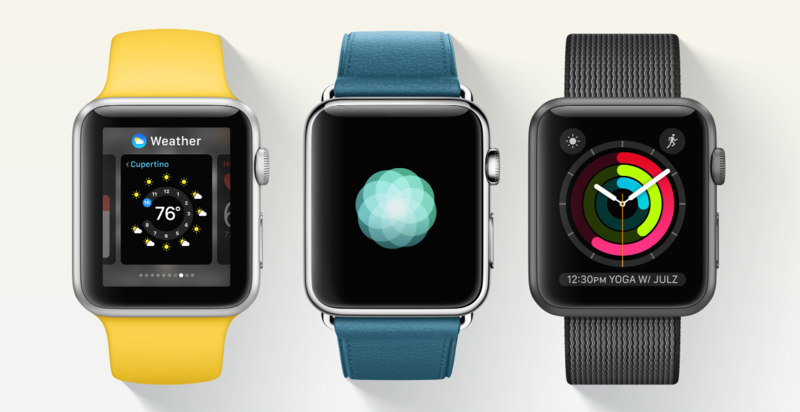 Important changes are coming to watchOS! Checkout our support for Apple Watch Series 4 new processor architecture, ARM64_32 based on the Xamarin.iOS SDKs shipping with Visual Studio 2019 and Visual Studio 2019 for Mac. Xamarin.Essentials Adds Detect Shake, Browser Customization, Color Helpers, and More! Introducing Xamarin.Essentials 1.1.0! 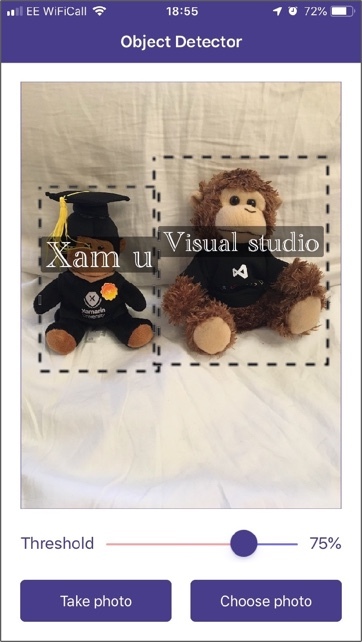 Xamarin.Essentials’ built-in Accelerometer API now gives you ability to detect shake movement, Geolocation API detects mock locations, and the Browser API now supports more customization. Introducing the Xamarin Customer Showcase highlighting the amazing work that developers around the world use Xamarin to build beautiful native mobile apps with .NET. A quick update on libraries and technical work our team has been doing to keep up to date with Google recently updating their APIs across iOS and Android including Google Play services and AndroidX. At our annual Microsoft Connect event in November, we announced the General Availability of Visual Studio App Center, combining our best developer services, incuding Xamarin Test Cloud and HockeyApp, into one free, easy-to-use cloud service to help you ship better apps, faster. From building in the cloud to automatically testing on thousands of real devices, distributing to testers and app stores, and monitoring real-time crash and analytics data, Visual Studio App Center fully supports Xamarin apps. I was honored to be part of the Visual Studio 2017 keynote, where I got to highlight how easy it is to build beautiful, cross-platform native iOS, Android, and Windows apps in C# with Xamarin and Visual Studio 2017. Visual Studio 2017 brings an exciting range of new features and improvements for developers, along with a brand new preview of Visual Studio for Mac. Out of all of the architectural patterns, Model-View-ViewModel (MVVM) has to be my favorite. 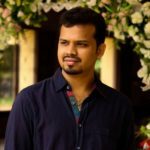 When I started The Xamarin Show last year on Channel 9, I made sure to cover all of the different aspects of MVVM, as well as some amazing libraries that work with Xamarin, and I could think of no better way of starting 2017 than by highlighting the top Xamarin Show episodes that feature MVVM. 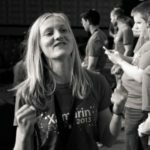 Attend a Xamarin University Spring Fling! Mobile Leaders Podcast | Enterprise Mobility Trends with Maribel Lopez: Where Are Things Headed? Network with your local user group to learn about exciting new releases, tooling, or updates at Xamarin and .NET related technology events this February! 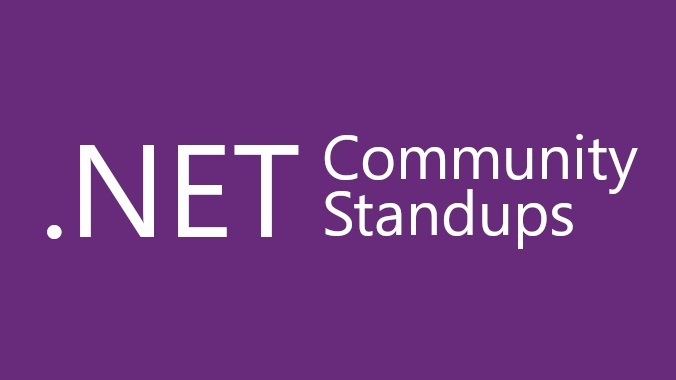 As the .NET community expands so should the community standups, which is why we are pleased to introduce the expansion of their community standups that we officially call the “.NET Community Standup” series. These community standups span multiple teams and products in the world of .NET and show off the amazing work the community is doing. It's a new year with tons of new and awesome community-run events scheduled this month. Get the full list of mobile developer engagements happening all over the world through our Community page. Here are just a few of the awesome community-run events scheduled this month. Get the full list of mobile developer engagements happening all over the world through our Community page. 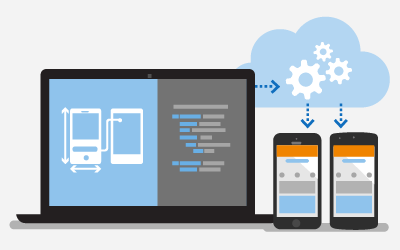 Have you been clamoring to get started with mobile development using C# and Xamarin? What if you could attend a full day workshop from the comfort of your house or in a conference room with some co-workers? Well we have you covered with our first ever full day live stream interactive workshop on Twitch! Watch all the live sessions from .NET Conf right on Channel 9! 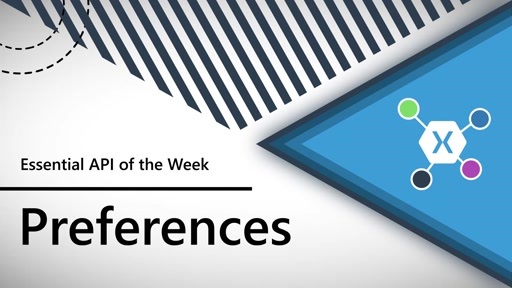 With a wide selection of content by feature speakers from the community and .NET product teams, take this opportunity to learn, teach, and get inspired for your next project. Watch the .NET Conf Live! The 3-day virtual developer conference co-organized by the .NET community and Microsoft is finally here! 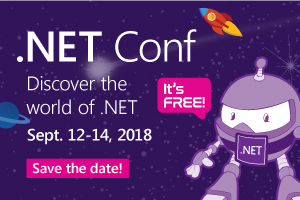 Now the question is how and where to watch the .NET Conf which will be completely live-streamed. It is the perfect opportunity to enhance your skills, ask questions to a live audience, and get inspired for your next project. Checkout awesome Xamarin and .NET Events happening around the globe. An essential part of any mobile application is the ability to persist data. 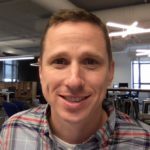 Sometimes that is a large amount of data that requires a database, but often it is smaller pieces of data such as settings and preferences that need to be persisted between application launches. 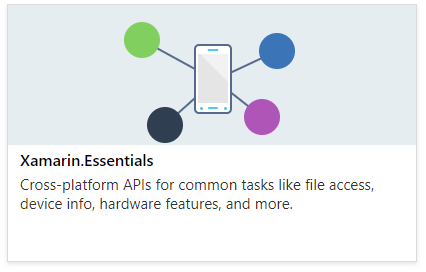 This is where Xamarin.Essentials can help out with its wide range of cross-platform APIs for mobile apps. As a mobile app developer, it's great to be able to pull data from the server to our apps to provide users with a delightful experience. Of course, until your user puts their device on airplane mode or hits a rough patch with no cell reception. To provide the best user experience we need access to the current network state of our users' device. Better yet, be able to register for changes to that network state. Doing this will allow our mobile apps to react to different network conditions to provide users with instant feedback. With the connectivity API in Xamarin.Essentials, we can do just that with a few lines of code. In this tutorial, you will learn how to integrate automated visual user interface tests into a development toolchain that includes Xcode iOS simulator using Xamarin, Appium, Applitools, and macOS. Five-star mobile apps have one special feature: they don’t let go of their users. This can be achieved by understanding your app, the app’s users, and how these users interact with your app. The deep customer insights offered by AppCenter's Continuous Export provide a better understanding of your customers and help boost retention. By default, you receive information about your active users, their active sessions, top devices, country, language, and more! We announced Xamarin.Essentials, a core set of cross-platform APIs to help developers build native apps, at Microsoft Build 2018. Xamarin.Essentials gives developers access to over thirty platform-specific APIs that can be accessed from their shared code, including geolocation, secure storage, sensors, device information, and many more. Best of all, Xamarin.Essentials can be used in any iOS, Android, UWP, or Xamarin.Forms app, regardless of how you create the user interface. Feedback on the first preview from developers has been fantastic, with praise of a simple and straightforward way to access these native features. When developing iOS and Android apps with Xamarin, developers can access every native platform API using C#. These bindings not only expose the platform APIs in C#, but add powerful C# features, such as async/await, events, delegates, and more. This is a huge advantage for developers, because they never have to leave C#, whether they're writing shared business logic, user interface, or accessing native features. One key feature developers often look for when developing cross-platform apps with Xamarin is a way to access common native features from their shared code without having to write their own abstractions or find an open source plugin created by the community. Support for iOS 12 and Xcode 10 to accompany Apple’s Xcode Gold Master (GM) release has just been announced! We have also published updated documentation and samples to help you quickly get started with all the latest new features. Now, build your Xamarin.iOS (and of course Xamarin.Forms for iOS) applications with Xcode 10 GM and submit your iOS 12, tvOS 12, and watchOS 5 applications to the Apple App Store. After months of contemplation before finally buying an Apple Pencil to go along with the iPad Pro, it turns out it is as magical as they say! This blog post describes how to use Xamarin.iOS and Visual Studio 2017 to build a signature pad app that works with Apple Pencil. It's summertime, which for Xamarin developers means new iOS betas to explore and learn. ARKit, which debuted last year in iOS 11, has matured over the past year and in iOS 12 is much more flexible than it was previously. The latest Xamarin preview release supports Xcode 10 beta 5, which includes beta SDKs for iOS 12, macOS Mojave (10.14), watchOS 5, and tvOS 12. If your app interacts with files, such as email attachments or photos, allowing users to preview those files without leaving your app is a great way to enhance the user's experience. Fortunately, iOS makes adding this feature simple by providing the document interaction controller and the Quick Look preview controller. In this post, you will learn the differences between the two options and how you can implement them in your app. 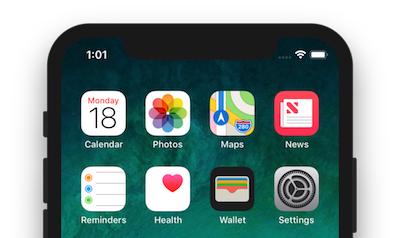 Apple has indicated that starting in July 2018 all new apps and app updates submitted to the App Store must be built with the iOS 11 SDK and support the iPhone X Super Retina display. Asking your users to review your app is never easy, and there was never an intuitive way to do it. Developers were left to constantly prompt users to review the app with pop ups or by putting a Leave Review button somewhere hidden in the settings, as I have done for many years (here is a quick blog to show you how to do it). Starting on iOS 10.3 this has all changed with the introduction of the SKStoreReviewController, which controls the process of requesting App Store ratings and reviews from your users with a streamlined, in-app dialog. In my years of development, one thing I've learned for certain is that securing your network requests is an essential part of any mobile application. A few weeks ago one of my own applications stopped working due to a change to a Secure Sockets Layer (SSL) certificate on meetup.com's authentication server, which made me realize the important role Transport Layer Security (TLS) plays in securing app and server requests. Although Xamarin technologies are most commonly used to develop mobile applications, Xamarin.Mac makes it easy to use your preferred .NET language to develop desktop Mac apps. There are many C# examples in Xamarin’s mac-samples directory on Github, but it's also easy to use F# to develop desktop Mac apps as well. 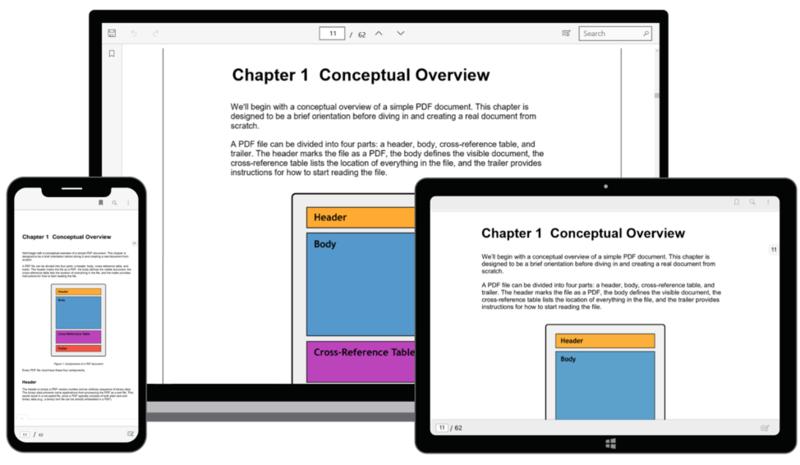 View PDF files within your Xamarin.Forms apps using the Syncfusion PDF Viewer control. Find the runnable demo of this blog in this GitHub repository. Take a closer look at 5 important updates we at Microsoft in collaboration with you, our fantastic contributors, are delivering in Xamarin.Forms 3.5! In this guest post Andrei shows off his BindableLayout contribution that is now available in Xamarin.Forms 3.5 to turn any Layout into a layout with a bindable item template. 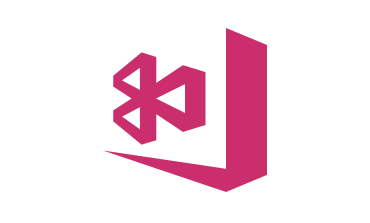 Let me introduce you to F# Functional App Development using Xamarin.Forms with the Fabulous project, which brings the Elmish Model-View-Update (MVU) architecture to Xamarin. It is a great way for F# developers to rapidly build mobile applications as you will see in this blog post. As part of the upcoming Xamarin.Forms 4.0 release, we are implementing the all new CollectionView control. The CollectionView is intended to be a successor to the ListView, improving upon its design by reducing technical complexity and allowing for more flexibility of layout and function. Yesterday at Microsoft Connect(); 2018 we announced our plans for Xamarin.Forms 4.0 and shared a public preview. 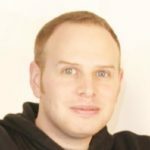 Let's now take a deeper look at the big changes, starting with Xamarin.Forms Shell, and then touch some of the other highlights. As part of our long-term goal to have more frequent releases, we’re pleased to announce the release of Xamarin.Forms 3.4.0. As always, this release contains even more bug fixes and most notably, another new highly requested feature, an ImageButton! Xamarin Developer Blog is Getting an Update! 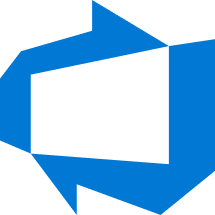 Xamarin Developer Blog is migrating to a new platform. Find a sneak peek of the new design and more details about the migration. Let us know what you think! 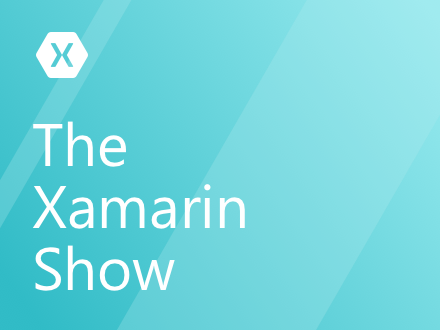 Xamarin Developer Podcast: Releases, Previews, and Roadmaps! On the latest Xamarin podcast we discuss speed, speed, and more speed. Get ready for a faster inner dev loop. What's an inner dev loop, you ask? Tune in to find out! Today, Visual Studio 2019 Preview 2 was released and includes many improvements for mobile developers in Visual Studio. 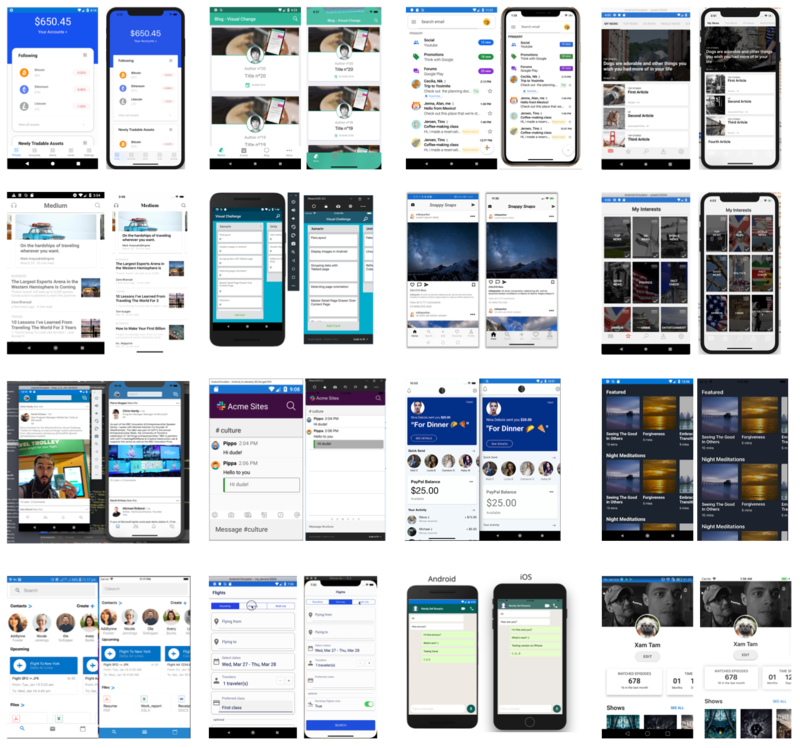 This release, we focused on key areas to make you more productive when authoring Xamarin apps, including optimizations to build and deployment times as well as improvements to our UI authoring experiences.